The smartspeaker was originally a side project by some of the company's Mac audio engineers, who wanted to build something with better audio than brands like Bose and Harman Kardon, Bloomberg sources said. Some of the engineers were from speaker makers themselves, and were eager to use and refine beamforming —technology that directs audio to particular places in a room. Prototypes ranged from a flat panel with a mesh screen to one measuring some three feet tall with dozens of speakers. Apple is also said to have toyed with the idea of making it a Beats product, as well as offering it in a range of colors instead of the black and white options now planned. In 2014 the project graduated into an official endeavor at the accessories division under Gary Geaves. A dedicated team of engineers was relocated to Valley Green 1 —an office near 1 Infinite Loop in Cupertino. The Echo "blindsided" the team that year, and engineers joked about each other leaking the HomePod to Amazon, according to Bloomberg. The group bought some Echos to dismantle them, but judged their sound inferior and continued on. 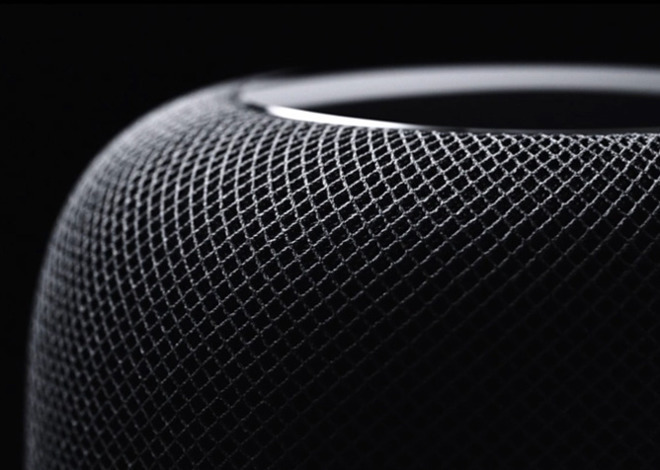 The Siri team was reportedly told that the HomePod was about music and high-quality audio, downplaying the voice assistant aspect. Indeed that's reflected in Apple's marketing, and the device won't support easy addition of third-party "skills"/apps like the Echo. Those will actually be processed on a paired iPhone or iPad, and developers will have to update their iOS titles for support. Moreover, only messaging, to-do, and notes apps will be compatible. By 2016 Apple was testing the HomePod with workers outside the project, even recruiting some retail workers to help. The HomePod was at one point announced as shipping in December for $349, but is now slated to arrive in "early 2018."